Arinjoy Biswas from Calcutta, B.E. - B.Tech Graduate. Working for : Shanghai Urban Construction Group Infrastructures India Ltd. Currently working as Management Trainee In Contracts Profile at Shanghai Urban Construction Group Infrastructures India Ltd.
PLANNING & SCHEDULI.. PRIMAVERA P 6 MS PROJECT. PROJECT CONTROLS PROJECT MONITORING &.. BUDGETING & COST CON.. CONTRACTS AND NEGOTI.. CLAIMS CONTRACTS AND.. PROJECT MANAGEMENT	..
are one of expert skill area's of Arinjoy Biswas . 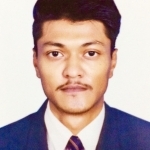 Arinjoy Biswas is working in Engineering Project Mgmt./Site Engg./Civil Engg./Construction industry.